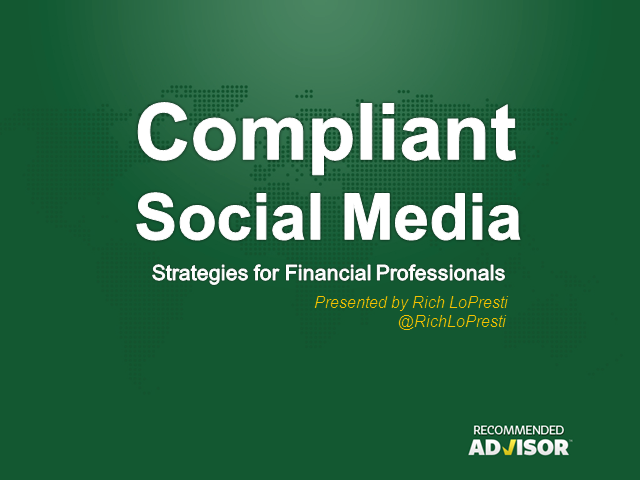 Compliant social media strategies that financial advisors can use right now to grow their business! This all inclusive webinar will cover compliant beginner strategies for advisors just getting started in social media, as well as compliant intermediate strategies for advisors ready to take the next step. There will additionally be advanced strategies for the seasoned advisor that's ready to evolve their practice to the next level through social media.